URNA was born by the will of RM and MZ on starting months of 2004. Corrupted from the beginning by the most extreme side of black metal and dark ambient, URNA first hymn has been “Justa Funebria”, from which they decided to start a personal path. The “Mors Imperatrix Mundi” EP has brought to an original merging of macabre black metal, ritualistic ambient attitude and a strong funeral doom influence. The result is something unique, an original mix of those different origins in a multifarious beast. Latin is the tongue of URNA’s black consciousness, the esoteric and occult meaning of the lyrics and vocals are further amplified by the tremendous majesty of their sacral cult of death, like a dark sermon for those who care to see beyond the veil. In 2006 URNA unleashed “Sepulcrum”, a superb masterpiece of doomish obscurantism. 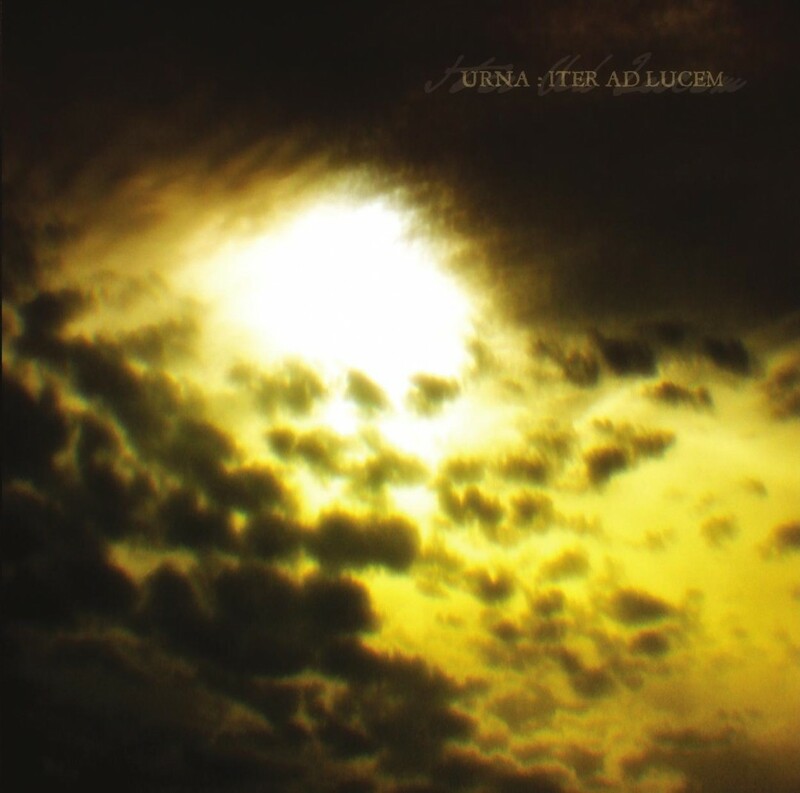 In 2008, after two years of silence from the blessing out of “Sepulcrum”, URNA gonna gets a new dimension and with the help of Eidvlon, starts the recording sessions of “Iter Ad Lucem” their second full-length album. The sound is now really gloomy and violent, a perfect mixture between post-metal, funeral doom and electronic madness. LP collector edition: 160 gr. gold vinyl, exclusive artwork, full color printed inner sleeve with insert. Limited to 300 copies. Esoteric funeral doom with immense expressive strength, “Iter ad Lucem” is a tome of antiquity, where haunting guitar lines drown the listener in a new oppressive and visionary dimension. Masterful avant-gardish attitude is manifested on the drone and mystic ambient madness, manipulated sounds and sinister sepulchral recalls, featuring guest appearance by ritual noise overlord Eidvlon.